Check out some of the new rules for Specter Ops: Broken Covenant! Our sacrifices have not been in vain. Even now our agents are zeroing in on an ancient Raxxon facility. The name of that facility? Raxxon Pharmaceutical Headquarters. That is right, Faithful, before Raxxon Global there was Raxxon Pharmaceutical and we have found what used to be its beating heart. The information our agents uncover there will surely bring Raxxon’s dark past into the light. Welcome back, fans of Specter Ops! Specter Ops: Shadow of Babel, the critically-acclaimed Stealth Action Game by Emerson Matsuuchi, has a stand-alone sequel on the horizon! In our first article, we dropped a few hints about the awesome new mechanics at play in Specter Ops: Broken Covenant, but today we're going to take a closer look at some of the new rules! The Agents have assembled a new set of threats for the Hunters, and as a result the Hunters have been forced to expand their arsenal. Enter the Interceptor, a new way to traverse the battlefield for Hunters. 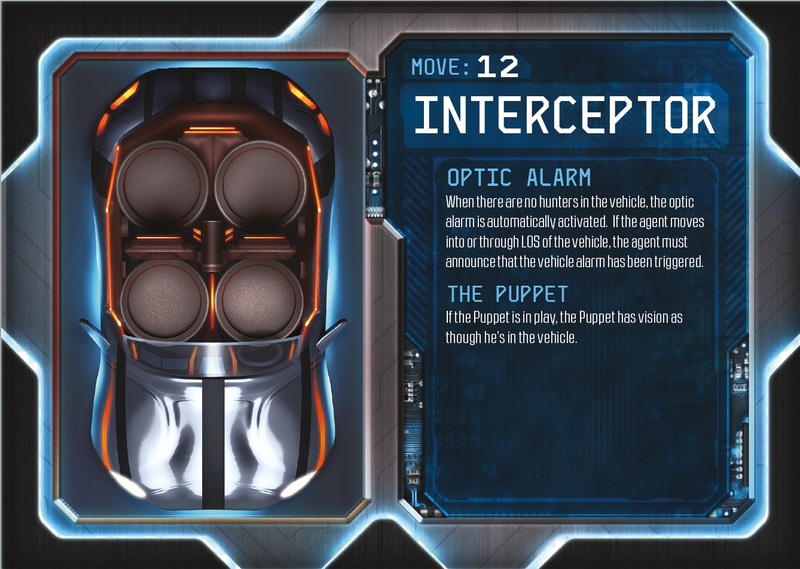 Compared to the former Tracer Vehicle from Shadow of Babel, the Interceptor has a boost of speed, moving 12 spaces instead of 10. Additionally, the Interceptor's automated Optic Alarm make it ideal for holding down key intersections while the Hunters comb the area. Players will have the their choice of either Vehicle when they start a game using the new rules in Broken Covenant. In a future preview we'll be exploring the new abilities that Hunters and Agents have at their disposal, but a new mechanic found on certain abilities is the use of Fatigue Tokens. Some abilities will cause a character to become fatigued. When a character becomes fatigued, players will place a Fatigue Token on that character's card. As long as a character has a fatigue token on it, its abilities are disabled. When a fatigued character moves 2 or fewer spaces on a turn, remove the fatigue token from it. 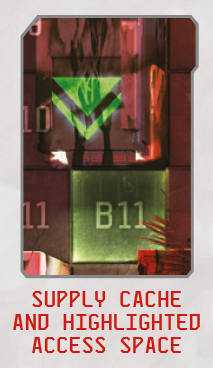 This allows for the strategic use of very powerful abilities by both Hunters and Agents alike. You'll need to be mindful of when you use these abilities and when you recover from them. The Shadow of Babel was just the beginning. Raxxon's darkest secrets lie hidden in this remote facility, and it's up to the Agents of A.R.K. to uncover them. 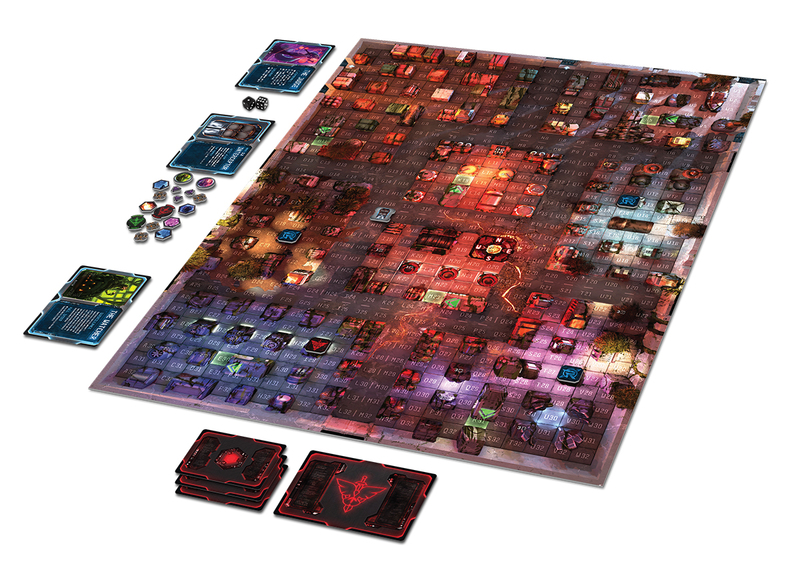 Specter Ops: Broken Covenant will be available for purchase from retailers and our own web store in early June. Be sure to check back soon for more previews, including a n overview of the new Hunters and Agents available in this set. Callin Flores the Plaid Hat Games Communication Specialist.